Sorry firebirddude, the rca cables were connected to the speakers under the back window, not to the amp. That would explain it. Thanks. is there a way to identify a unit if it is bose or not from the serial number or part number? or a way identify it when is on sale on ebay? Of course the part number would be different, however I dont know what they are. Call a local dealer and ask or Google. There's no physical difference between the Bose and nonBose that I'm aware of. We've even had members who've had the dealer mistakenly install the Bose in place of nonBose and vice versa. I didn't know where else to put this, but i'm having issues with my a/c not working but my radio works. When I bought the car the guy had installed an aftermarket radio and i'm not sure if that's the reason it wont work. Last edited by Alientimer433; 03-03-2016 at 07:51 PM. Reason: I'm new to Rx8 club. i have a right hand drive rx8 with sat dvd replaced from previous owner with normal dvd player. front driver's speaker not working and i assume it's because of the replacement. anybody know how to make it work with instructions? Hey guys, I've tried searching all over for the answer to my question but I cant seem to find it.. I am currently installing the iSimple aux/usb kit in my factory headunit because it was version 9.50. All I have left to do is splice the ground and 12v ignition wires to the kit. I have an 04 with the bose system and gps. 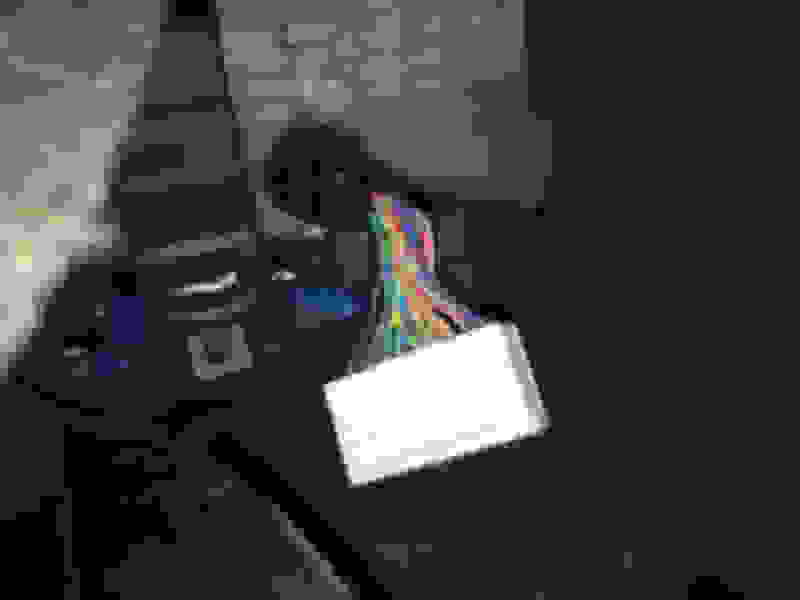 I have attached a picture of the wiring harness and I'm just wondering what wires to splice to? I know the black wire is the ground wire, but what wire is the 12v ignition wire? I've read that it is the green/redish orange wire, the one touching the black wire however I cant find anywhere else backing this up. "Beefed up version of CD hack - iPod mod to include more control and works with any firmware version." The link to this is now dead, Do you know of any other sources? Sorry but I have no clue what that was. Been too long. I have already taken out my stock unit and replaced with a pioneer double din stereo. I do have the stock Bose sound system. There is no sound coming out of my speakers and was told I need an interface harness. The only one I can find is the Axxess MZTO-1 but it says only fits vehicles 2007-2010. The Axxess MZTO-1 is not even for an RX8. You need to use the harness included with the Metra kit. Ensure the blue/white wire from your Pioneer is hooked up correctly, as that's the amp turn on. Additionally, double check all your other wiring. Ensure that no speaker wires are possibly touching metal in the car, ground OR even another speaker wire. Please start a new thread and post up pictures if you can't get it figured out. This is not a topic to post in. Fellas I have an opportunity to purchase a full complete Bose system I'm mint condition from a 2006 Euro spec RX8. 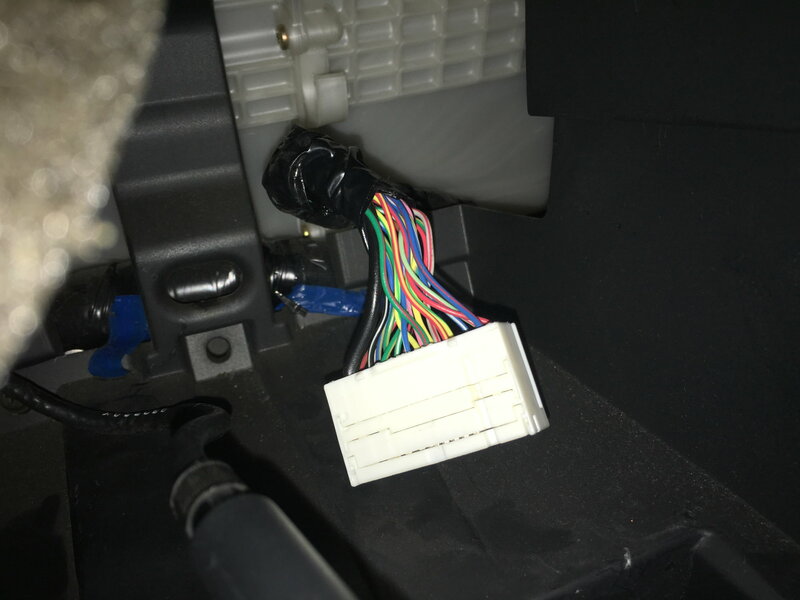 I am not sure if my current 2004 RX8 came stock with a Bose system due to the wiring hack job. From what I can see, the rear speakers, tweeters, center speaker are all Bose. There also appears to be a factory harness for the amplifier between the rear speakers but is currently hacked up with an aftermarket amp installed. I have not checked to see if the mini amps are in the door yet. I will do that shortly. Now that that has been said, is there any difference between USA spec and Euro spec RX8? I mainly want to know if this system will be plug and play. The system I am looking to buy also has the auto climate. I searched through this section but did not find my answer. Please advise. TBH, I really don't know. But I do know the tuner outside the US runs on even numbers frequencies, versus the odd numbers we use here. So goodbye FM reception. Other than sloppy wiring, what's wrong with what's in there? Because the factory Bose system is nothing special. You could always just buy the Bose amplifier and use an aftermarket head unit. Please start a new thread and post up pictures if you can't get it figured out. This is not a topic to post in. While the music gets loud I really feel like it's missing something.. that a Bose system wouldn't be. Are there cases where the aftermarket head unit isnt very compatible with the bose system? Any additional wiring that should be hooked up? From what I can tell all the speakers/tweeters are working, there is no sound distortion either... it just sounds like it's kind of linear, even after audio adjustments via the head unit. Is there a way to maybe make sure the amp is outputting properly, or even working period? Im not big into audio/electrical so Im kind of a newb in this department. People spend thousands of dollars to make their audio system sound linear. Tough to understand exactly what you mean. And if all the speakers in the vehicle are working, the Bose amp is at least working. You cannot just wire the aftermarket head unit directly to all the factory speakers. Without specific details, there's really not much any of us can do/infer. I suggest taking it to a professional and letting them listen and spend even 5 minutes with it. From there, as a professional, I'd pull the harness from the Bose amp's outputs and use a variable frequency tone generator to each speaker. Just to give me quick assurance that each speaker is working and playing the frequencies it should. Then I'd pull the head unit and see what's going on behind there. More involved, so I'd certainly be charging you money at that point. Okay, thanks for the input.. It's hard to describe, lol. I figured linear might be the might descriptive word, but with audio, maybe not! I just installed a Pioneer AppRadio SPH-DA120 using a Metra 95-7510. It's mostly working as intended but I have 2 stubborn issues I'm hoping you can help me with. 1. There is a fairly loud hissing coming from the font door tweeters when the HU is on and even when the volume is set at 0. The Metra harness is grounded to one of the screws holding the manual shifter assembly. Same hissing with or without that dedicated ground connection. It's the same on FM and other types of inputs. It doesn't change when I unplug the antenna cable. It doesn't change with engine revving. Could this have something to do with some bad interaction between the Pioneer and the stock amp? 2. The A/C MODE buttons (middle of the 3 climate controls) works fine but no longer "bips" when changing settings (neither the central round button nor the other 4 around it). Is the Metra kit not supposed to restore that functionality? My metra kit does not beep when I change settings with the HVAC buttons. Does the hissing sound change with engine revs or when the interior light turns on/off? (mine did and it was due to faulty wire connections with the speakers I heard the noise from). The hissing is very constant and there as soon as I power up the HU. Correction though, it's on all the speakers. It's most noticeable on the tweeters but careful listening shows it's on all 6 speakers (factory Bose system on 2004 RX-8). Have you already confirmed all your connections are correct/making full contact? Especially adding the metra kit it adds extra connections to deal with, so its easier to mess something up, haha. Im not much with wiring so hopefully someone else can assist you. I stumbled across a site that has detailed specs for (and a brief analysis of) the OEM Bose mid-woofer. The speaker listed is from a 2008 Cadillac CTS-V, but it looks to be the same as ours. The analysis at the bottom of the page goes beyond my level of understanding, but they have a nice write up on how to interpret the results.